These suites with beautiful balconies are perfectly located at the end of downtown. Edelweiss Terrace will be a great place for you and your family to call home. This family friendly building is near to Peter Pond Mall and a variety of stores on Franklin Avenue. Easy accessible to public transportation. 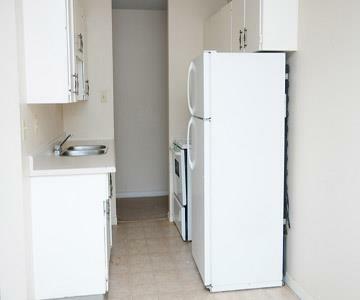 Providing you with the essential fridge, stove and a spacious storage room. Suites have a beautiful spacious balcony or patio. 2 bedroom furnished suites are available. Heat, water and a parking stall* are all included in rent. *parking stall is energized but tenant is responsible for the utility charge.